The “H-Track” printing machine has the ability to print 1 side of a caplet or soft gel of any size. 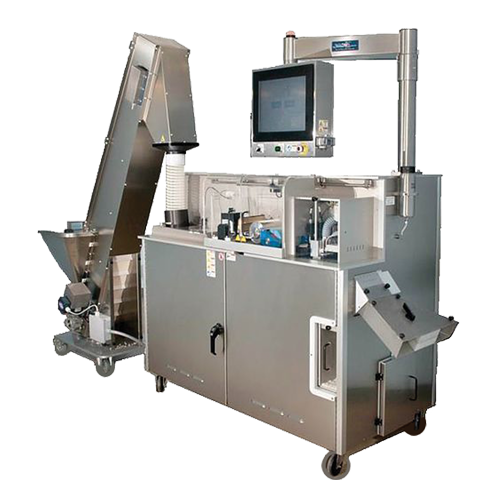 This machine can be used for multiple products because of its easy setup and quick change parts. Carrier bars with 6 pockets each, enable this machine to print up to 150,000 units per hour. 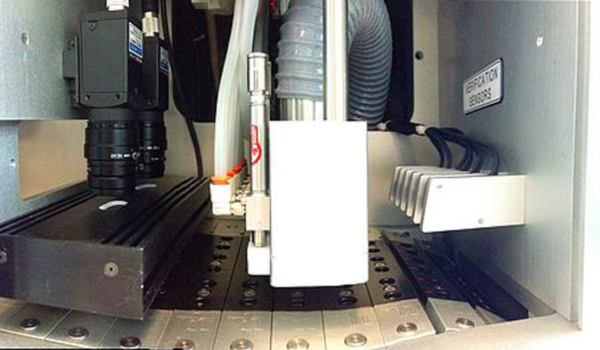 Vacuum manifold has six different shoes that remove product that the camera system doesn't approve. Our tablet flipper settles any tablets that are standing up or not settled in the pocket. Adjustable speeds. 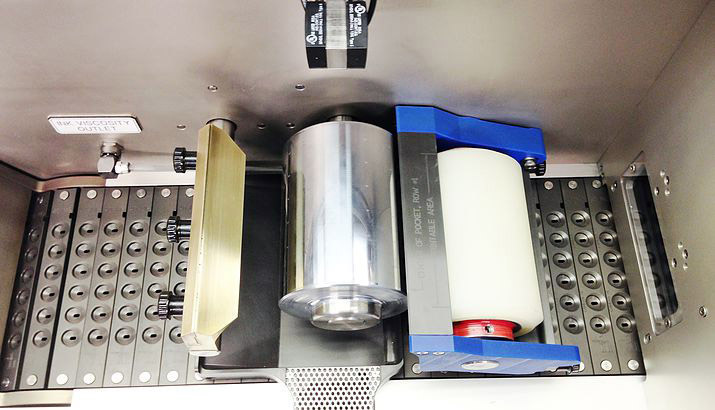 Our cantilever print unit for easy installation of the design roll, rubber roll, and doctor blade. Two cameras search every product that comes by. 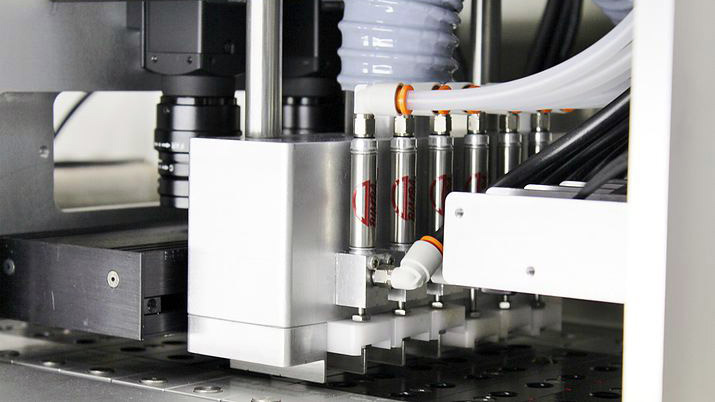 A servo driven, easy to use cantilever printing system. A fully mobile enclosed printing unit with interlock safety system. 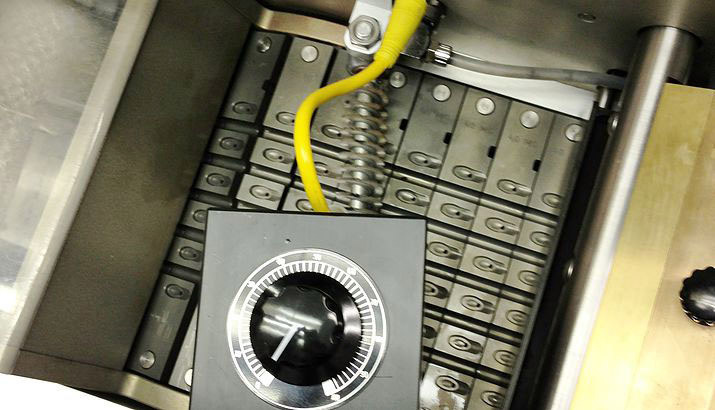 Touch screen, Quick change parts allowing easy change over, maintenance and operation. One (1) Sided Pharmaceutical / Confectionery Product Printer. 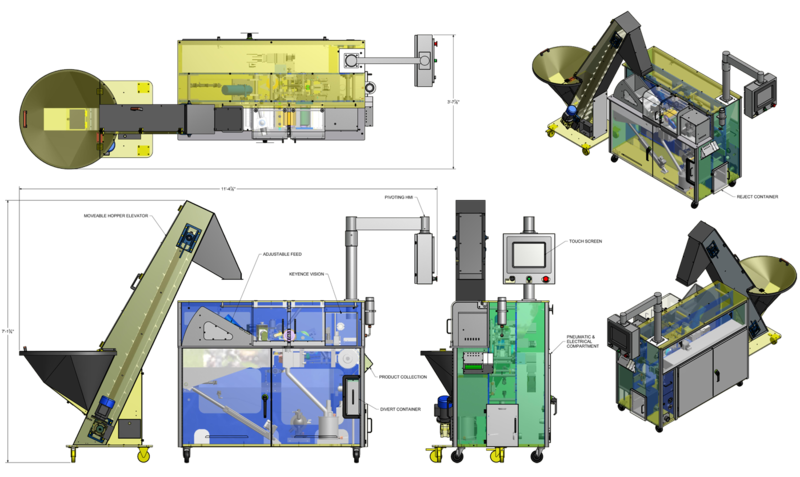 Circular Printing for Pharmaceutical / Confectionery Product Printer. 6 Pocket Tooling Set, Average Output, 150,000 Per Hour. Sign up for our mailing list to receive the latest industry trends, company news, and promotions! We promise to never spam.